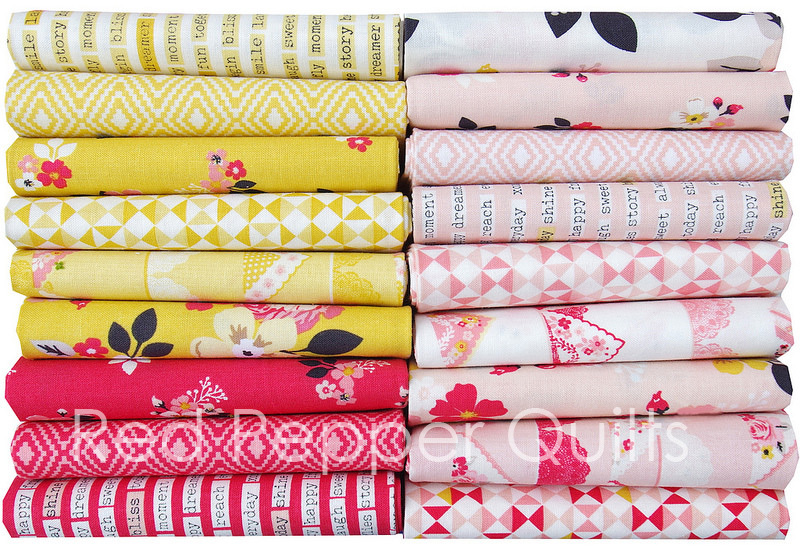 Vintage Daydream is the most recent fabric collection by Design by Dani (Dani Mogstad). 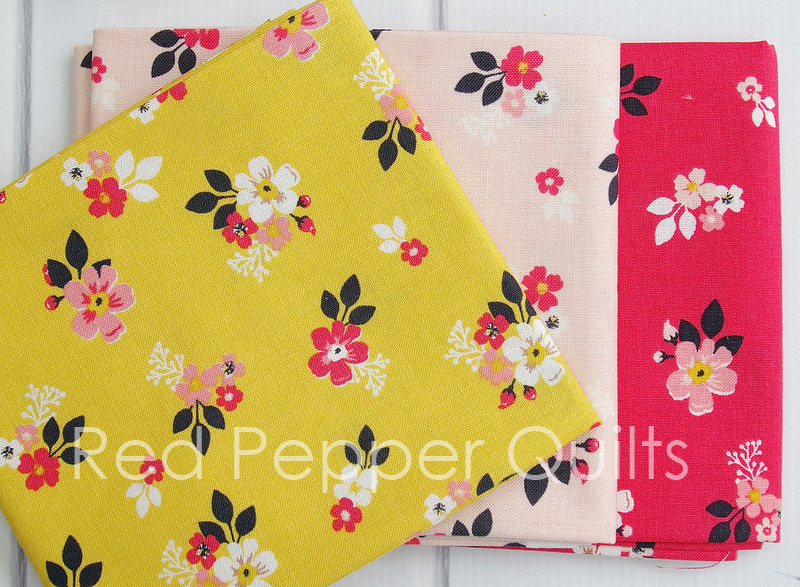 This fabric bundle arrived just this week and I have already cut into several of these prints! I was immediately drawn to this warm and nostalgic color palette, the romantic floral prints, and of course the text fabric. 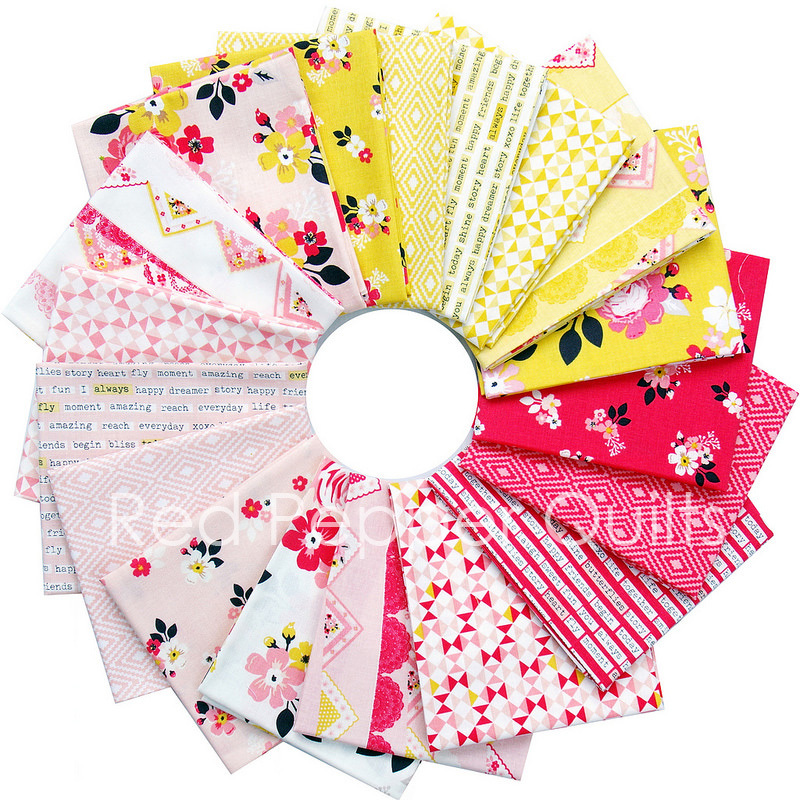 The collection features 6 different designs each in three different color ways and features two beautiful floral designs, text fabric, geometric designs, as well as a bunting fabric. 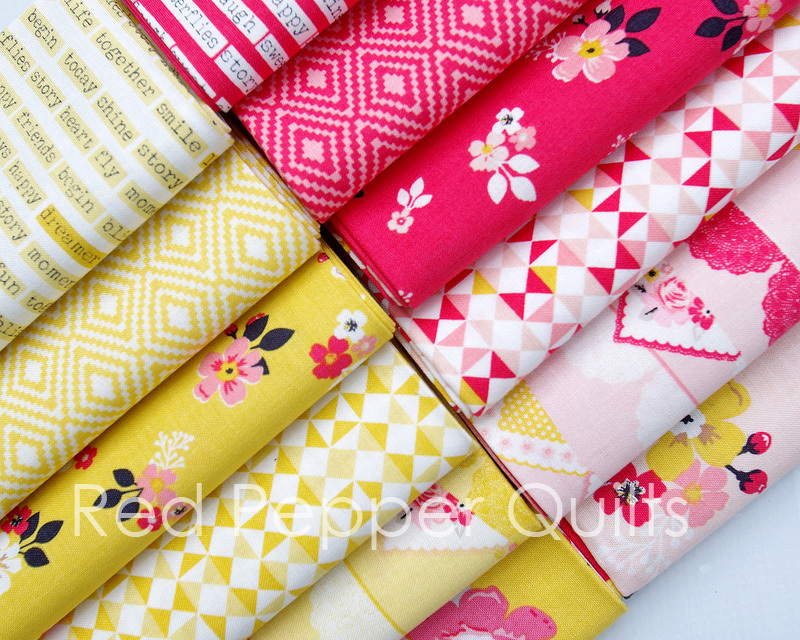 These designs and the color palette complement the fabrics that I have on hand well and they have already been dispersed by color into my fabric stash. 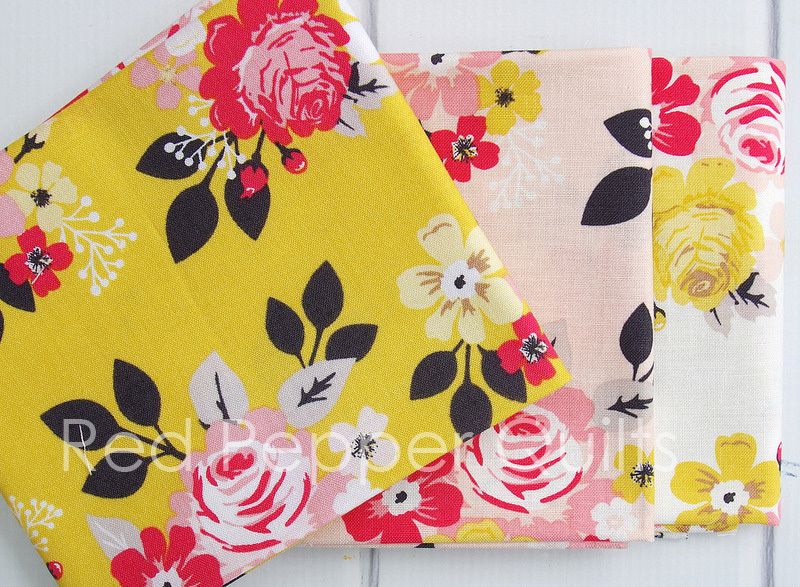 The yellow along with the different shades of pink is a nice combination! 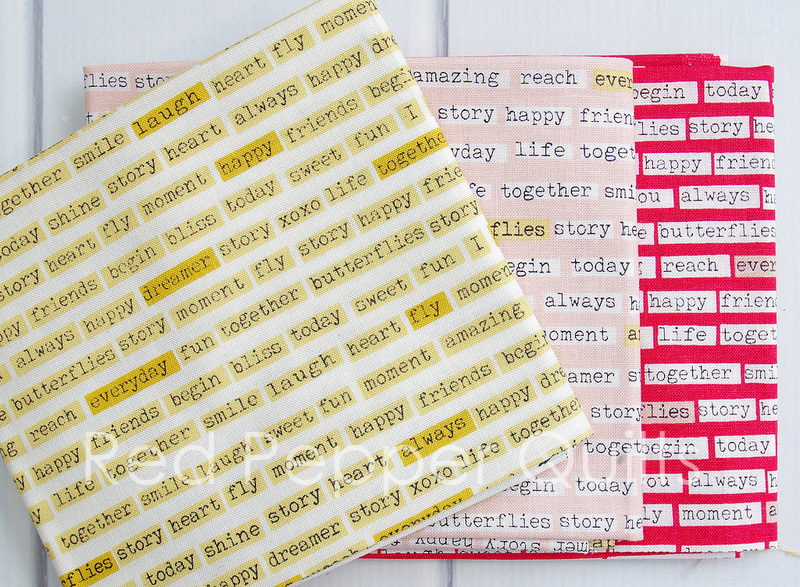 And who doesn't love a good text fabric! 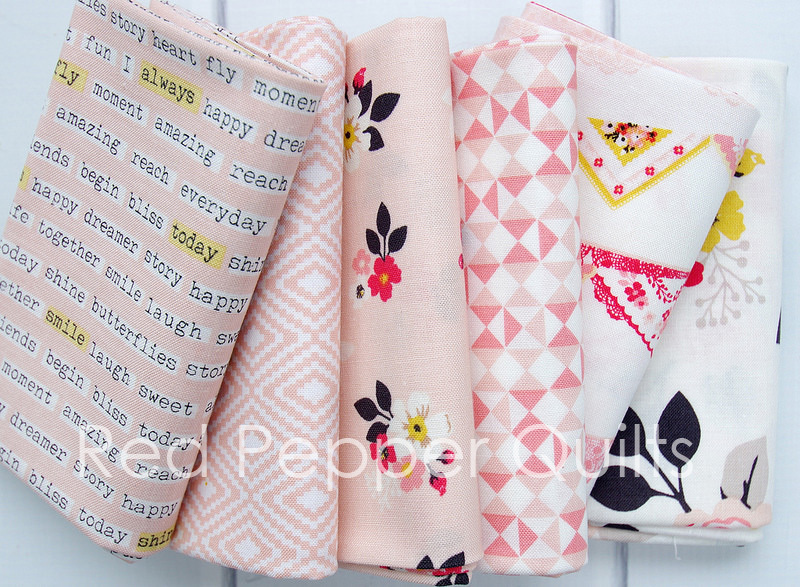 I love the cheery pink and the print with the words on it! So cute!